Jörn Ulrich was born on 18 June 1913 in Århus. In 1933 he joined the Navy as a Kadet. He was prompted to Søløjtnant af 2den Grad, Royal Danish Navy, on 25 September 1937. 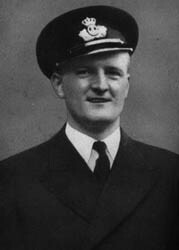 He trained as an observer the Naval Air Service from October to December 1937. From March to November 1938, he trained as a pilot. He was prompted to Søløjtnant af 1ste Grad, Royal Danish Navy, on 1 June 1938. On 25 September 1939, he was promoted to Søløjtnant II. After having received his pilot's license he served at Marinens Flyvestation (Navy Air Station) at Avnø from 5 November 1938 until 4 January 1940 being allocated to 2. Luftflotille (fighters). During this time he served together with Knut Kalmberg flying Hawker Nimrods. They together decided to volunteer for service in Finland when the Soviet-Finnish Winter War started on 30 November 1939. They tried to resign from the Navy but this was rejected. On 1 January 1940 they became AWOL and took the ferry from Copenhagen to Malmö, Sweden. They travelled by train up through Sweden to Torneå. He and Kalmberg joined the Finnish Air Force on 6 January 1940 as luutnanttis (Lieutenants). They were first posted to training squadron 29 (Täydennyslentolaivue 29) at Paola but as both were qualified pilots, they were posted to LeLv26 based at Utti on 12 January. LeLv 26 was at the time tasked to protect the important railway junction in Kouvola from aerial attacks. Jörn Ulrich in the cockpit of a Finnish Gloster Gladiator. Luutnantti Ulrich took off for his first aerial combat from Utti airbase with GL-259 at 11:10 on 2 February (this was also the first combat of LLv 26). He had watched when Finns had made attempts to intercept the incoming raiders on the day before. The bombers were coming from an altitude of 3000 m and it took about 5 minutes to climb to that altitude with a Gloster Gladiator. This meant that the bombers were spotted too late to give sufficient time to climb and intercept. Thus Ulrich flew southwards hoping to intercept the bombers on their return leg. He spotted seventeen SB bombers in two V-formations plus a lone pair, which were returning from a bombing mission to Kouvola. He started to chase the bombers but as the SB was nearly as fast as a Gladiator on 3000 meters was, he only catched up slowly. As they arrived over the Gulf of Finland at 12:10, the lone SB pair made a turn to the right over Suursaari (an island in the Gulf of Finland, occupied by Russians) and thus he was able to cut the corner. He made a firing pass on a SB with firing range varying between 200 and 75 meters. He aimed at the right wing fuel tank and spent 120 rounds of ammunition. The bombers wing fuel tank was hit and it caught fire. As Ulrich prepared to make a second pass on the bomber it started to dive and crashed through the ice on the frozen sea. He now noticed that Russian AA in Suursaari was shooting on him and climbed above clouds before heading home. He landed on Utti 12:.55. The Soviet aircraft was a SB from 57 SBAP, KBF flown by Leytenant G. S. Pinchuk (navigator Kapitan V. M. Kharlamov, gunner/RT-operator Leytenant A. I. Belogurov) on a photoreconnaissance mission. The SB made a forced landing on the ice in the region of Someri-Nerva. Pinchuk and Belogurov were wounded. The Soviet crew was rescued by a ski-equipped MBR-2 of 18 AE VVS/KBF (pilot Kapitan A. A. Gubriy, navigator Eskadrilya Kommisar Syrnikov, gunner/RT-operator Ashurkov), which landed on the ice and took them to Oranienbaum. On 7 February the entire SB-crew were made Heroes of the Soviet Union, while Gubriy got the Golden HSU-star on 21 April 1940. 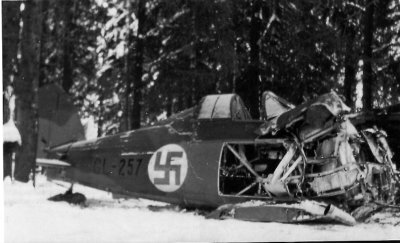 On 12 February Kalmberg (GL-261) and Joensuu (GL-256) attacked an eight-plane SB formation and they claimed two, Kalmberg shot down one over Loimolanjärvi and Joensuu shot down one over Kidesjärvi. In the afternoon on 13 February, lentomestari Lauri Lautamäki (GL-253) and ylikersantti Oiva Tuominen (GL-255) were first scrambled at 14:00 and sent to Matkaselkä. After this there was an alarm - a large Russian bomber formation was approaching! Luutnantti Knut Kalmberg (GL-260) and Kivinen took off first as they were in readiness with running engines. Five others followed so all nine Gladiators of Kivinen's unit were airborne. They met nine I-15bis fighters and engaged them. Six Russians tried to form a "Spanish ring"-defensive circle. Kalmberg attacked these Russians, but as he started shooting, three other Russians attacked him and hit his Gladiator. He tried to disengage by diving, but his plane went into a spin and dived into the ground at Havuvaara, killing him. Meanwhile, Kivinen’s Gladiator was hit in the engine. He disengaged with a steep dive and landed at Värtsilä. The rest of the Gladiators were now dogfighting with the Russians. In the dogfight Ulrich was hit and wounded. He made a forced landing with the last of his strength between Kuhilasvaara and Havuvaara. His Gladiator GL-257 was badly damaged and not repaired anymore. In this fight, Ilmari Joensuu (GL-256) claimed one I-15bis at 14:40 while Ulrich was credited for the destruction of two between 14:15 and 15:05. Other Finnish pilots in this engagement were Pentti Tevä and lentomestari Niilo ‘Arpinaama’ Artola. Artola was not a pilot of LLv 26 but a Blackburn Ripon pilot of LLv 16. He was on a familiarization flight with a Gladiator when the Soviet fighters appeared. He joined the battle although he was not sure how to operate the guns! However, he managed to fire a bust on an I-15 chasing a Finnish Gladiator. It seems that the I-15bis fighters were from 49 IAP, which lost Starshii Politruk M. A. Kochmala (I-15bis), who was KIA after claiming two Gladiators. 49 IAP also claimed a Fokker during the day when Leitenant Yakov Filippovity Mikhin of Aviagruppa Tkachenko claimed one in a ”taran” ramming attack at Värtsilä. Mikhin managed to return to his airfield with his damaged I-16. Ulrich spent the rest of the Winter War in hospital and returned to Denmark in July of 1940. 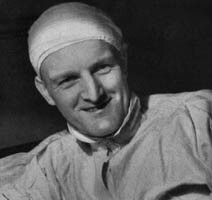 Jörn Ulrich in a Finnish hospital after having been wounded on 13 February 1940. Denmark was occupied by Germany in April 1940. He rejoined the Navy on 28 August 1940 and was promoted to Kaptajnløjtnant on 1 June 1942. After that the Danish Navy and Army was disbanded, he escaped to Sweden. Here he served at F12, initially as an instructor. During 1943 some Danish pilots were trained under great secrecy at different Swedish Flottiljer (Wings). During the autumn of this year they trained on the J11 (Fiat CR.42) at F9 (Wing no. 9) after having previously trained on the B5 (Northrop 8 A-1 Helldiver) at F4 and F6. Participants during the fighter course at F9 were Kaptajnløjtnants (Captian Lieutenants) Jörn Ulrich (Navy) and E. B. Meinecke (Army), premiärlöjtnant (Lieutenant) A. S. Bendtsen (Army) and löjtnant (Lieutenant) E. Møller (Army). During the course Ulrich worked as an instructor and later as commander of the Danish brigade. During their time in Sweden Ulrich and Møller also got the opportunity to fly the indigenous Swedish fighter FFVS J22. In 1944-45, he was attached to the air force of DANFORCE, the Danish Brigade in Sweden. Though equipped and trained for combat in Denmark, the force was never in combat and returned by train to Denmark on 12 May 1945. Ulrich ended the war with 3 victories, all of them claimed while flying Gloster Gladiators. Ulrich's Gladiator GL-257 after it was salvaged from the crash site. It was not repaired. 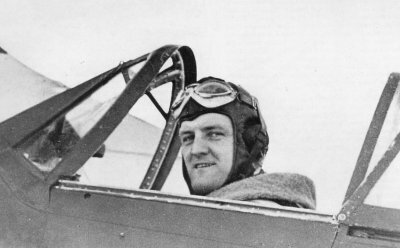 Ulrich served in Sövärnets flyveväsen (the Danish Navy’s Air Corps) until April 1946. After this he retired due to his wounds suffered during the war and founded a new company. He remained in the Reserve and was promoted to örlogskapten on 21 August 1951. He retired from the Reserve in 1973 and from his company in 1979. Ulrich passed away on 29 March 1992. (a) SB from 57 SBAP KBF, flown by Leytenant G. S. Pinchuk (navigator Kapitan V. M. Kharlamov, gunner/RT-operator Leytenant A. I. Belogurov) on a photoreconnaissance mission. The SB made a forced landing on the ice in the region of Someri-Nerva. Pinchuk and Belogurov were wounded.